The Dental Nursing Academy works closely with each student individually. Part of our commitment to your success is found through our mentors and tutors. For anyone over the age of 18, the CACHE Course from the Dental Nursing Academy is a great way to begin a worthwhile career in professional dental care. Online training and e-Learning has become popular in the UK and the Dental Nursing Academy has embraced it. Offering a range of courses online that include. Do you want the ultimate Dental Care career? Are you looking for the best Dental Care Training to fast track your career? The Dental Nursing Academy are the leaders in the provision of Dental Care training and skills development in the UK. Equipping people with the best dental care skills and placing them in the most rewarding and well-paid jobs in the industry you need to look no further for your future. At the Dental Nursing Academy, we provide the best, certified training to get you started in your career or help you climb the Dental Care career ladder. With easy payment plans and schedules that can fit around you, learning and growing with us could not be easier. With The Dental Nursing Academy, you will learn real skills that can be practically applied in the real Dental Care world. With a wide range of classroom-based and online, eLearning courses you can study what you want, how and when you want to. Working closely with our Awarding bodies to grow your future by encouraging your registration on completing and passing the required exams. Enrol with us today and join many others who are now loving their successful Dental Care careers. As part of their ongoing training it’s compulsory for dental nurses to complete courses on basic life support and CPR. 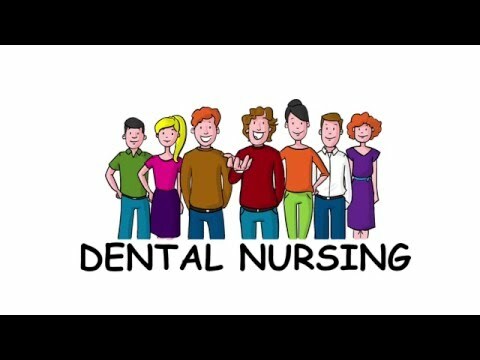 Here at Dental Nursing Academy, we offer this course for Free for all students attending our courses. Topics include how to deal with asthma attacks, heart attacks, fainting and how to administer emergency treatment. This essential training will give students the vital life skills needed to save a life. Upon completion a certificate is issued and is valid for 12 months. 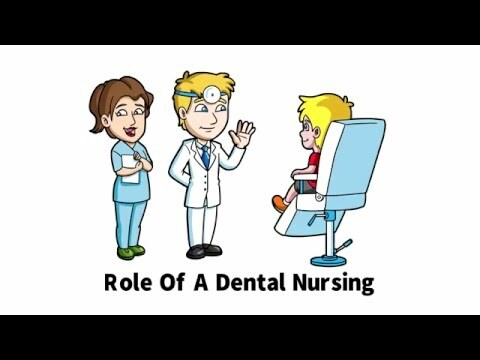 Why Choose the Dental Nursing Academy? The Dental Nursing Academy offers the most comprehensive selection of Dental Care training courses in the UK. The Dental Nursing Academy is accredited by CACHE and offers both Diploma. All courses are accredited courses and access to online and offline support material makes our courses some of the best in the UK. At the Dental Nursing Academy, our training is kept affordable. For everyone we offer flexible payment plans, however which makes them affordable for new beginners. Please see Fees for payment plans. A 12 month period anyone can gain a recognised dental nursing qualification entitling them to find work as a GDC registered dental nurse. Full tutoring backs up all the training provided by the Dental Nursing Academy, and all courses include a free basic first aid training course. If you want a dream career as a dental care professional that can pay up to £27,000 per annum and grow your career prospects call us today on 020 3875 0569 or send us an email info@dentalnursingacademy.co.uk. We are passionate about Dental Care Training, and when our passion meets yours, there is a win-win situation. Highly recommend this centre. Helped with my cv writing and interview techniques. Helped me find a career which I love. lovely staff that always willing to help. Tutors are very helpful and knowledgeable. The team always strive for excellence. Very good place to learn and flexible payments take the pressure off us and allows me to study. Good support from recruitment team with cv and job hunting. Passed my exams first time round ! Fantastic place to learn. Now I’m qualified I have many career prospects. I want to go ahead and apply to become a hygienist. Have come from another centre who don’t do half the things this college does. My English has gone better and helped me pass my exams. Now I am a Qualified Dental Nurse. Very nice tutors and push us to pass. I’ve come from another centre and unfortunately didn’t pass my exams. I visited dental nursing academy and was shocked with the amount of work that I should be doing for me to pass. I certainly think they are organised and do more than my other place. Staff are very friendly and answered all my queries. Staff very helpful and supportive. Everyone at dna is caring and with easy payment plans I found the course affordable. The centre has lots of materials for us to practice for exams. Also received a free first aid training and certificate.